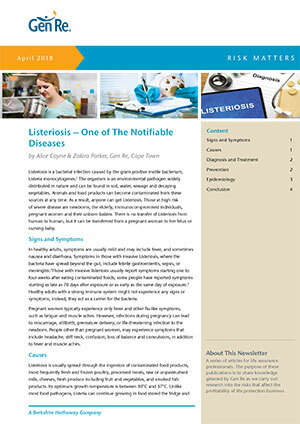 While high levels of public awareness have been generated, understanding the mortality threat from infection by this organism will assist underwriters in identifying lives that are more at risk. 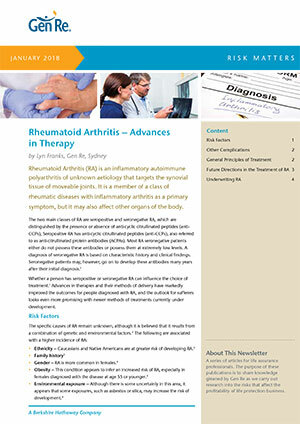 Rheumatoid Arthritis (RA) is an inflammatory autoimmune polyarthritis of unknown aetiology that targets the synovial tissue of moveable joints. The progressive nature of the disease presents a high risk of disability. 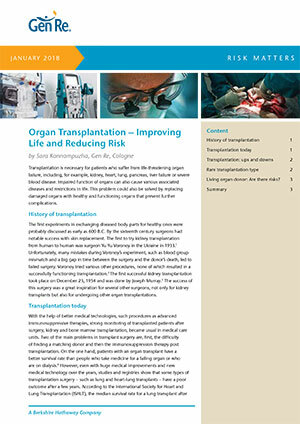 Transplantation is an important option for patients with chronic organ failure. 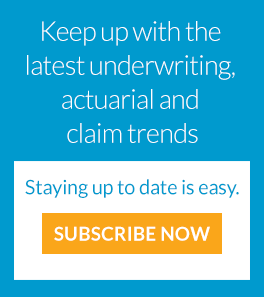 Assessing cases associated with transplantations is a complex task for underwriters. According to new studies, better ratings are possible in many cases. 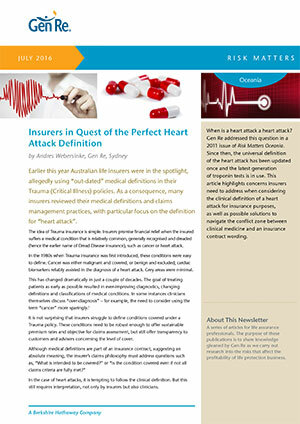 Insurers should be concerned when challenged to use the clinical definition of a heart attack. There is more to a diagnosis than the definition. Navigating the conflict between clinical medicine and a contract wording is complex but can be solved.